Richard Cottingham (aka “The Torso Killer”) was found guilty of murdering murdering five women between 1977 and 1980, although he claims to have killed between 85 and 100. He received his nickname because he usually left nothing but a torso behind. After a thorough investigation and after speaking to Mr. Cottingham, we are, and were, clearly satisfied that he was the person responsible for the murder. Cottingham appeared before Superior Court Judge Donald R. Venezia on August 25th. Vogel’s brother and two children were in the courtroom, and Cottingham offered an apology. 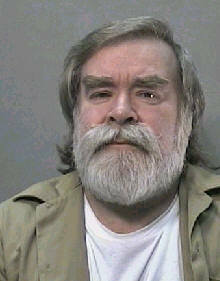 Cottingham was sentenced to life imprisonment; his sentence will run concurrent with his existing prison terms. We always look at many past defendants for possible connections with all cases, but we have nothing active at this time.